On October 26, 2017, an international group of scholars provided the state of digital humanities research as it relates to studies of medieval music manuscripts, including machine-reading of early music notation and collaborative techniques for indexing manuscripts of medieval chant. 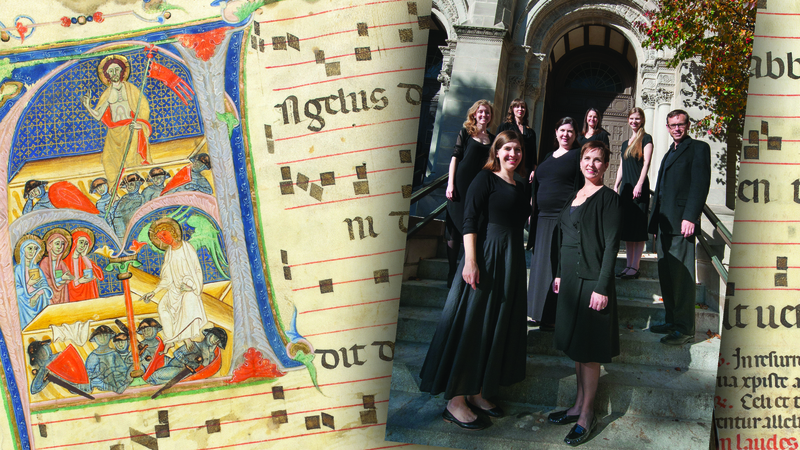 An evening performance by the women of Chicago-based early music ensemble Schola Antiqua featured a pre-modern convent program, including music associated with a 13th-century Italian convent, which was discussed in the morning sessions. The concert also included keyboard pieces and some of the earliest known polyphony associated with nuns. These events were generously sponsored by the University of Rochester Humanities Project, designed to help fund public events in humanistic disciplines and raise the profile of the humanities at the university. Co-sponsors at the Eastman School of Music included the Musicology Department; Humanities Department; Conducting & Ensembles; Voice & Opera; the Media, Sound, and Culture Lab; and the Department of Organ, Sacred Music & Historical Keyboards. Co-sponsors at the University of Rochester at large included the Goergen Institute for Data Science, the Rossell Hope Robbins Library, the Department of Computer Science, the Department of Religion and Classics, the Susan B. Anthony Institute for Gender, Sexuality, and Women’s Studies, and the College Music Department.